The Bulgarian national cuisine has many traditions which have been preserved through time. They are not only culinary in nature but are also connected to various celebrations and customs. 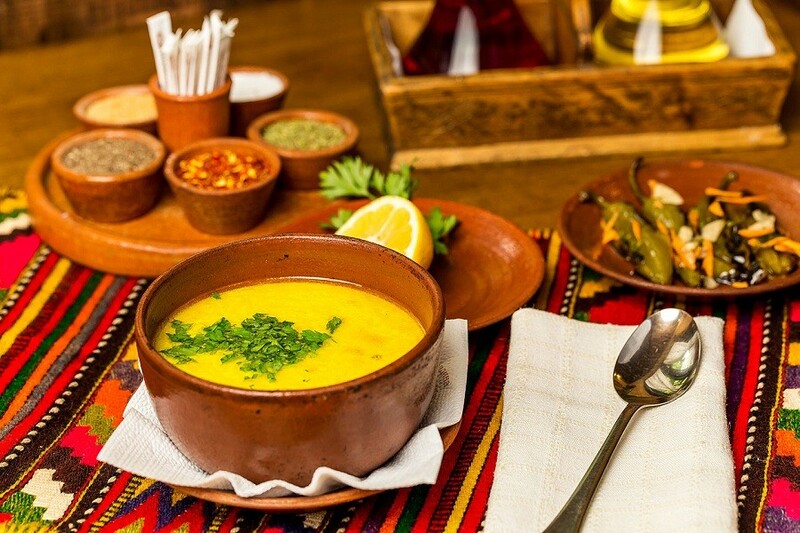 One of the most traditional dishes present at every Bulgarian spread is a steaming bowl of fragrant soup or chorba* (traditional roux-based soup of the Balkan region). One of the most popular such soups is the traditional homemade chicken soup, prepared according to an old recipe with plenty of vegetables and a local free-range hen or chicken. This is precisely the type of heart-warming homemade chicken soup served at the Pod Lipite restaurant. Certainly among the favorites are also the tripe chorba, lamb chorba, kidney bean chorba and many others. However, among this great variety of homemade soups and chorbas here at Pod Lipite restaurant you will discover a real treasure, a treasure preserved through time – the veal tail soup. At our restaurant we prepare this soup following an old recipe and serve it with aromatic horseradish and warm homemade bread. Certainly we have not forgotten our guests who prefer to eat vegetarian. There are many such treasured and delightful soups and chorbas. Along with the traditional kidney bean chorba we offer our guests various soups with seasonal leafy greens. Two of our top picks are the spinach soup with a poached egg and cow feta cheese and the nettles soup, both rich in iron and vitamins. During the cold days as well as the rest of the year we kindly invite you to visit us and enjoy a bowl of heart-warming Bulgarian soup or chorba, prepared with quality Bulgarian products and spices. Certainly one shall not forget to taste our traditional homemade bread as well as the various other carefully selected dishes, which preserve our heritage and traditions for the future generations.